Win a weekend ticket for 2 people to PlantBased Live and enjoy an unforgettable weekend of food and fun at PlantBased Live 2018. Bringing the very best chefs, finest foods and inspirational speakers to London’s ExCeL, PlantBased Live will lead London in ‘the vegan food revolution’! 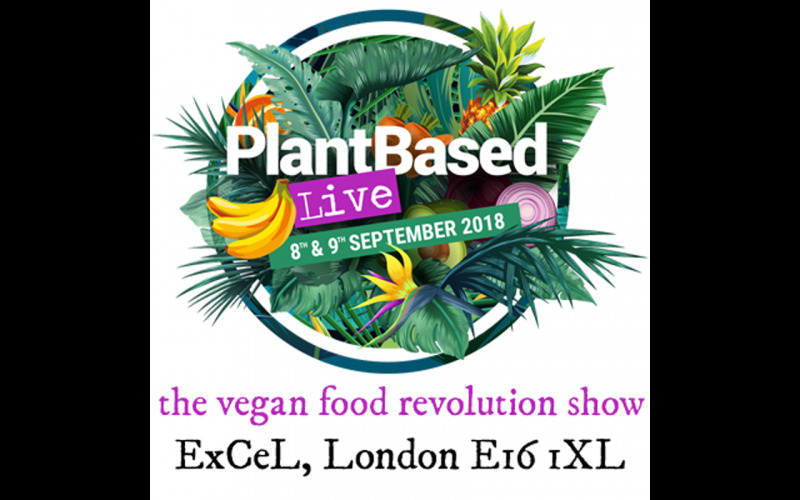 PlantBased Live show will welcome everyone from vegans and vegetarians to flexitarians and simply conscious eaters, to discover a whole new world of plant-based foods, products and ideas. Over 150 plant-based exhibitors will be ready to introduce you to vegan treats and cuisines from around the world; while our impressive line-up of health, nutrition and culinary experts will enrich your knowledge of everything from food to wellbeing. Make sure to visit one of our three live kitchens, to be inspired by a whole host of top chefs and presenters, who’ll be firing up their ovens and presenting the clamouring crowds with recipes for everything from budget meals, to vegan-friendly fine dining.